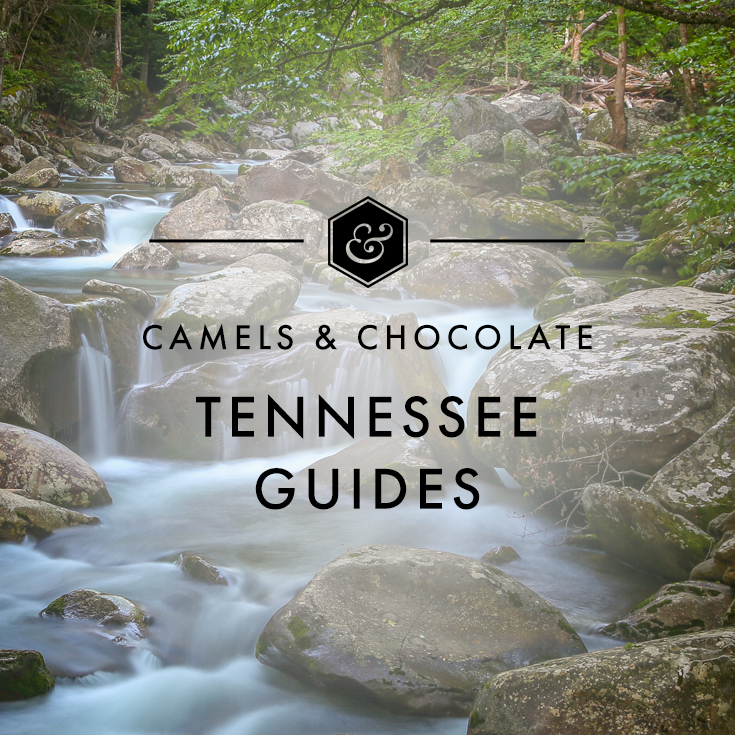 It’s that time of year when the suntans and sundresses emerge after a long winter in Tennessee, and the bachelorette (and bachelor) parties overtake Nashville. It’s like a plague of pedal taverns descends upon the city in one fell swoop! And despite writing two different bachelorette itineraries—which you can find here and here—emails asking for help planning are still my top requested item. With 79 new restaurants having opened in the past year—and a new 3,600 hotel rooms on the docket for 2017—it can be hard to sift through the oversaturated market and decide where to stay, eat, drink and go when you’re coming to Nashville for a bachelorette. But especially when you’re coming to Nashville for an adult bachelorette (think, 30s and 40s) and don’t want to burn the midnight oil among the sweaty throngs down on Broadway. I’m always a huge proponent of Airbnb, particularly when traveling in groups, but Nashville has a new alternative that’s just as good (better, even): the Germantown Inn. This six-bedroom inn debuted in December 2016 and is a stunner: Occupying an old two-story 1860 building, the inn celebrates the presidential heritage of the area by naming each room for a different president whose likeness also hangs above the fireplaces. Coffee and pastries from nearby coffee shop Steadfast are served fresh each morning, and there’s an afternoon wine hour that I took full advantage of when staying there last month. Like its name would suggest, the inn is located in Germantown, one of my favorite Nashville neighborhoods, and within walking distance to so many good restaurants and bars: Rolf & Daughters, Silo, Germantown Cafe, Cochon Butcher, Juice Bar, Henrietta Red, the list goes on and on. And I recently learned that you can book out the entire place for your group, which if you have 12 ladies, is ideal. That’s six bedrooms, a kitchen and a living room for $1999 a night with a two-night minimum. For groups with deeper pockets, it’s a great alternative to a traditional hotel. Lunch at Butchertown Hall. A German-Mexican restaurant that serves sausages and tacos and brisket may sound preposterous, and yet that’s exactly what Butchertown Hall is—and it’s divine. From the interior design to the wraparound patio, the selection of tacos (my personal preference) to the wide range of beers from around the world, this is the perfect lunch spot to kick off your weekend in Music City. Check into the Germantown Inn. Arrive at check-in time, unpack your bag and settle in for complimentary wine hour. If you want something other than wine, there’s a Kroger on Rosa Parks where you can stock up on beer and snacks. Dinner at 5th and Taylor. You’re going to need get to this contemporary American restaurant as soon as they open to make it to your next destination, so arrive right at 5pm and grab a table on the back patio where your safest bet to being in and out in a jiffy is to order off the bar menu (the burger is never a bad idea) and you’ll be on your way by 6:20pm. Show at The Opry. Whether you’re a country music fan or not, one thing is a guarantee: You’ll love the Grand Ole Opry live broadcast. The show, which features eight to 10 performers for three songs each, takes place every Tuesday, Friday and Saturday from February through November at the Opry house and then weekends at the Ryman in the winter months. It’s a casual affair where you can take photos and even walk down the aisle close to the stage if you like. Recent performers have included Carrie Underwood, Brad Paisley, Blake Shelton, and Keith Urban, among many others, and you never know who might show up on any given evening. Tickets start at around $30. Can’t beat that! You will need to take a Lyft out there, though, as it’s about 15 minutes by car from downtown and Germantown. Breakfast at Red Bicycle. If the pastries the inn serves from Steadfast aren’t filling enough, head just a few blocks over to this cute spot, which stocks a lengthy menu of both savory and sweet crepes (and some damn tasty lattes to boot). Candy School at Goo Goo Shop. You may have noticed that I love me some Goo Goo Clusters, so no one was as thrilled as I was that Goo Goo recently unveiled its very own chocolate-making classes in the Goo Goo Shop downtown. While there are a number of different packages available, the “Chocolate Expert” is the Ferrari of chocolate-making classes, and you’ll get to taste and make your own chocolate, learning to temper and also how to layer your very own Premium Goo Goo. The cost is $100 a person and you also have the option to add wine for an additional $25 a head. Yoga class at Steadfast & True. How to balance out all that chocolate you just consumed and wine you’re preparing to drink? Check out the studio where I practice, Steadfast & True, and get your om on with your girls. You’ll be glad you did. Nearby, there’s also a cute little stretch of boutiques like Wilder and Abednego at the Square at 4th & Madison that you can shop on your way home. A catered dinner in the inn. My friend Charles Hunter III has started his own in-home catering service, the Salted Table, and if his social media posts are any evidence, everything he makes is both inventive and Instagrammable. He’s recently branched out from more couples’ and family meals to cooking for groups of women, as well. It’s ideal for a bachelorette, a wedding shower or a birthday party; most often, he whips up a three-course meal, though family-style or heavy hors d’oeuvres are also an option. The price for a group meal is a service fee of $175, plus the cost of head per person, which runs from $25 to $40. I can’t think of a better way to really utilize the inn and enjoy some quality girl time than with a night in with plenty of wine and Charles’ delicious cooking. Stock up on cocktail supplies, and let him take care of your meal. Charles can also supply place settings and centerpieces for an additional fee. To inquire about events, email him through his website. Breakfast at Henrietta Red. Brunch is my favorite meal of the day, and I always get confused about where to go, especially since many restaurants in Nashville only serve brunch on Sunday (I know…what?!). American eatery and oyster bar Henrietta Red’s brunch service is brand spanking new, so much so that I’ve yet to try it, but it looks absolutely tantalizing. And given it’s a Strategic Hospitality restaurant, I know the service is top-notch. Drinks on the rooftop. If you have a couple hours to kill before your flight home and want a nice view and a taste of Broadway without the craziness, head down to 2nd Avenue to the George Jones Museum. It’s Nashville’s best kept rooftop secret, and it’s a beauty. With views of the riverfront and the Titans stadium, local brews like Jackalope and Yazoo and live music daily, it’s so very Nashville and the perfect swan song to your bachelorette weekend. Thanks Cristin sharing your ideas. 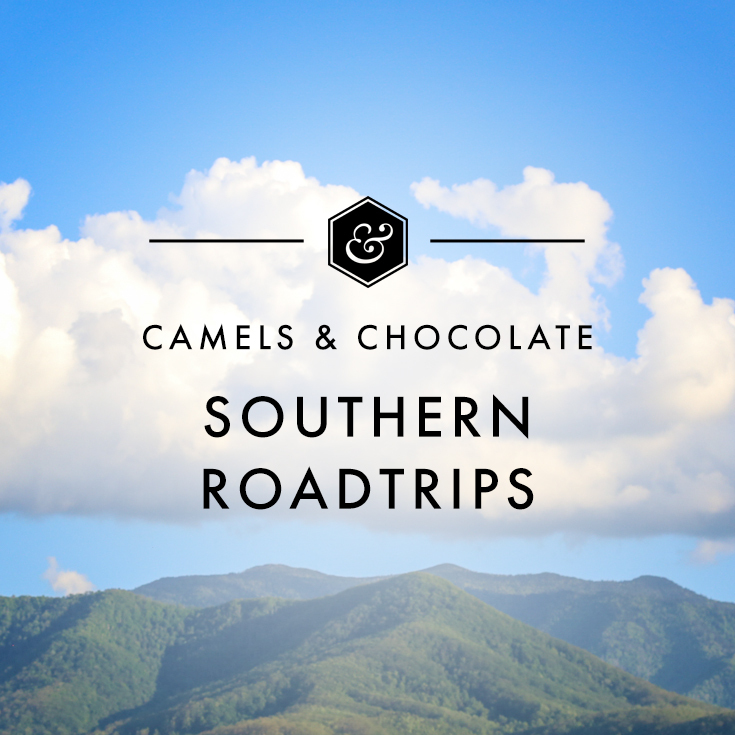 help for next journey to Nashville. very very beautiful!!! THANK YOU for saying what we’re all thinking about the plague of pedal taverns! I avoid downtown like the plague during this time of year. 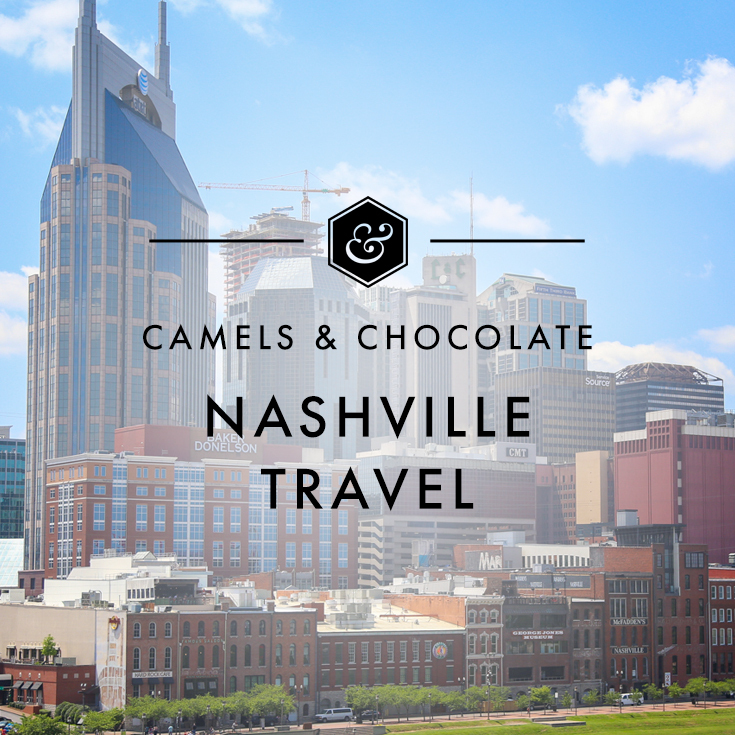 THIS is the best Nashville bachelorette party itinerary ever, and I’ll definitely be sharing it with friends. I inevitably get e-mails from folks planning parties here, and my friends aren’t like the “woo girls” (that’s what I call them, they’re all dressing matchy matchy and screaming woooooo) pedaling around. Loved seeing the shoutout to Charles, and seeing Melinda teaching the class at Goo Goo! AWESOME LOCALS!!! And with wine, is it not the perfect way to spend an afternoon with a group of girls?! Right??? I can’t think of a more fun activity for a bachelorette! I want to visit Nashville so bad! I love the Airbnb you stayed at – it’s so pretty and that covered porch is awesome! Looks like a perfect weekend! This is great!! I’m a Louisville girl originally and I love seeing the similarities between us and Nashville – like we have a “Butchertown” and a “Germantown” too. I need to head down and check y’all out next time I’m visiting home! I’m in love with Louisville, Lia! I’ve been a handful of times in the five years since we’ve been back in the South, and I agree that there are quite a few similarities between Nashville and Louisville. This is perfect! I’m visiting Nashville in a couple of weeks and am looking for places to eat and things to do. Thanks for sharing! ‘Love this piece! It’s always nice to hae some time-out with the girlfriends. And you’re right, it doesn’t even have to be a bachelorette, just some quality-time! Great read! I’m in charge of planning yet another bachelorette party for the end of August after I JUST finished up with one last month. I wanted to suggest Music City Pub Crawl for any readers who are in a similar predicament. Me and my girlfriends did this during our last visit to Nashville and we all had the time of our lives! I put down the name of the website below for those interested. Hi Kristin. Wow! So helpful. I see the last post was 2017 and I’m planning a bach for April 2019. I’m sure a lot has grown since then. Can I start off by stating what we do like and maybe you can point us in the right direction? WINE! great food, dancing, a good workout, possible massage and a fun pub crawl. I am into history and learning about places I have never been. I do love great photo opps as well. There will be 6 of us. April 12-15. I thank you for any info you might be able to share. And some new and favorite bachelorette-worthy new spots you should look into are Green Pheasant, Chaatable, Le Sel, Nicky’s Coal Fired, Attaboy and Henrietta Red. Downtown, there are a lot of new rooftop bars like the bar at the Bobby Hotel, L27 and L.A. Jackson. For massages, I’ve always liked Escape, but depending on your budget the Mokara Spa at Omni is AWESOME. Workout, I recommend Steadfast & True for yoga (or a private acro workshop for your group). GetFit615 is also a blast and a damn good workout. Oh! And two more awesome downtown spots that are new are the Black Rabbit and Gray & Dudley.